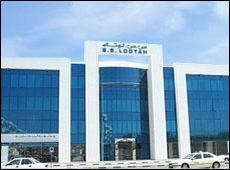 Established in Dubai in 1956, S.S. Lootah Group is a family-owned diversified business house with ventures across key industries from Construction, Real Estate, Energy, Food and Hospitality to Financial Services, Applied Research, ICT, Education and Healthcare among others along with a remarkable portfolio of not-for-profit educational institutions. From the first contracting company and first medical College in the United Arab Emirates to the first Islamic bank in the world, the entrepreneurial spirit of S.S. Lootah Group has been the catalyst that has brought home-grown business and community ventures to the global stage. This extraordinary portfolio carries the hallmark of the visionary Haj Saeed Bin Ahmed Al Lootah, the founder and Chairman of S.S. Lootah Group. With a workforce of over 10,000 multinationals, S.S. Lootah Group's entrepreneurial spirit, veracity as well as profound dedication to corporate citizenship and sustainable development, have been a driving force for national and regional economic growth, progress and innovation in the 21st century. The Group's strategic management initiatives are aligned with national policies that aim to support sustainable economic growth and the welfare of the people. Being a national company, the hallmark of the Group's strategy continues to be investment; in people, technology and the community.